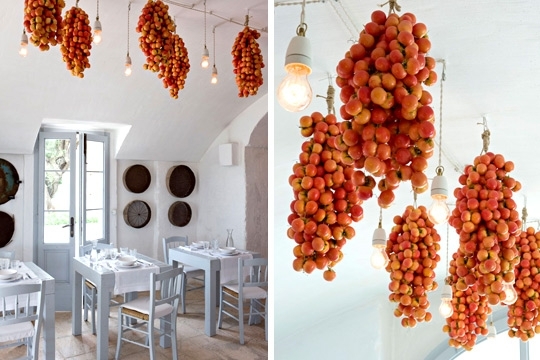 This beautiful guesthouse in southern Italy is called the Masseria Cimino. It is an 18th century building, renovated in 2005 and now consigned to San Domenico Golf as its guest House. 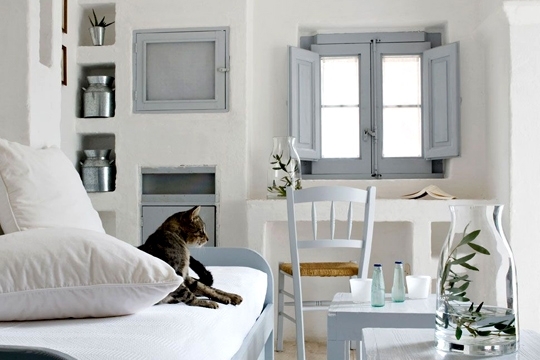 Very romantic, furnished in a fresh, contemporary Mediterranean style. Ornamented with artfully rusted farm tools, dried plants and flowers, jars of preserves and painted wood furniture. Some of the rooms have a beautiful working fireplace and others have balconies with a little terrace overlooking the Championship golf course with a view of the Adriatic Sea. Hope you are all enjoying this beautiful Sunday! More photographs here and here. 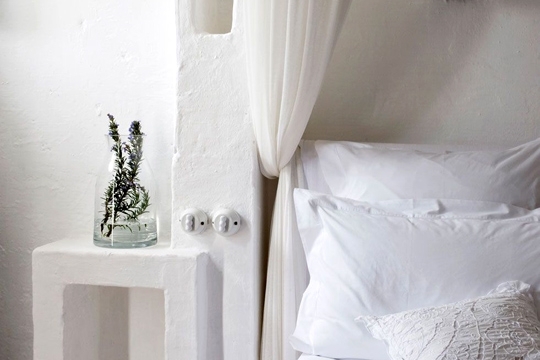 I have been thinking Mediterranean all day today...this is perfect! Can't wait to plan a stay there :) It's heaven! Thanks for sharing. sei venuta in casa mia, e non mi hai detto nulla ? Se sapevo della tua visita, ti avrei preparato un bel caffè italiano, corto, nero, e caldo !! 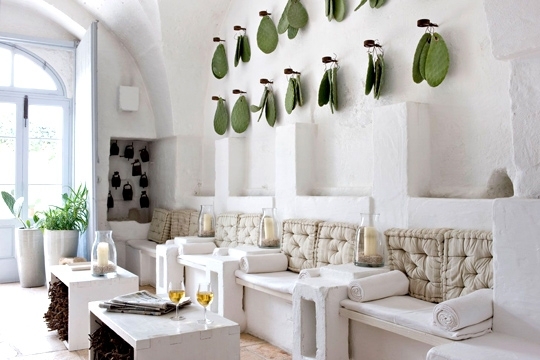 Interesting place influenced by Moroccan style. Love the sink :-) Great inspiration. Thanks all for your lovely comments! Ahhh Myriam your house is fantastic! Viva l'Italia! If this is rustic, then, I can do rustic! This is what I call Sigh worthy. 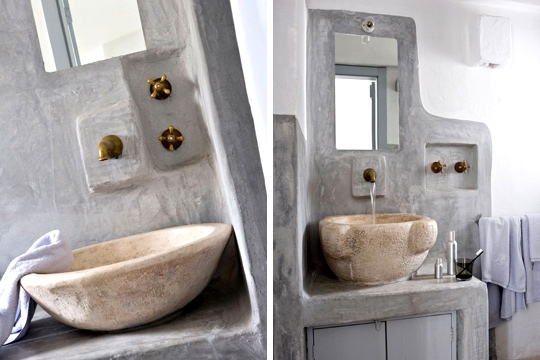 I guess it's rustic because of all the whitewashed cement, rusted farm tools used to decorate and stone sinks. Love the term Sigh worthy! Wow, your hubby is a darling for building it. My own hubby cleaned up my whole potting bench and area yesterday so I'm not complaining, still, I wish I had an arbor like that Can't wait to see it after you've "twigged" it.